Tyrannosaurus rex is regarded as one of the fiercest predators ever to have stalked the planet. 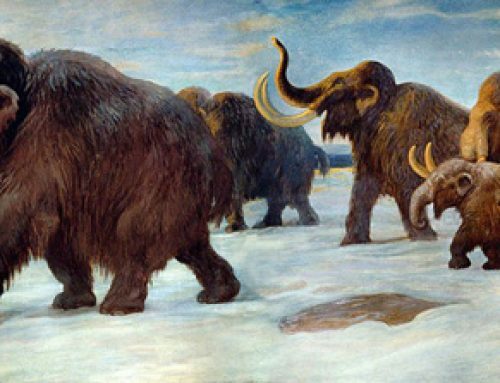 Although palaeontologists debate what proportion of its meat only diet was from prey that had been actively hunted, compared to scavenging the kills of other animals, it certainly had the tools for a position at the top of the food chain. With keen eyesight, a superb sense of smell plus an immensely powerful set of jaws, Tyrannosaurus rex was one dinosaur best avoided in case it made a snack out of you. However, you can get your own back, turning the tables on T. rex and eating him rather than have a T. rex have you for dinner, with this simple recipe for T. rex shaped gingerbread. These biscuits are ideal for a snack for young children and great for dinosaur themed parties. T. rex gingerbread biscuits recipe. To make the dinosaur shapes, we suggest you use a dinosaur shaped cookie cutter or a similar kitchen tool. 1). Preheat the oven to 180° C/350° F (gas mark 4). Line two baking trays with baking paper. 2). Using electric beaters, cream the butter, sugar and golden syrup in a large mixing bowl until light and fluffy. Add the egg gradually, beating well after each addition. Sift the dry ingredients over the butter mixture and mix with a knife until just combined. Combine the dough with your hands. Turn onto a well-floured surface and knead for 1-2 minutes, or until smooth. Roll out onto a chopping board, between two sheets of baking paper, to 5mm thick. Chill on the board for 15 minutes to firm. 3). Cut the dough into shapes with the dinosaur cutters. Press the remaining dough together and re-roll. Cut out shapes and place the biscuits on the trays. Bake for 10 minutes, or until lightly browned. Cool on the trays. 4). To make the icing, place the sifted icing sugar and softened unsalted butter in a mixing bowl and beat with a wooden spoon until smooth, adding 1-2 tablespoons of water if necessary. 5). Divide the icing among several bowls and add the food colourings. Spoon into small paper icing bags. Seal ends, snip the tips off the bags and pipe onto the biscuits. You can also use all sorts of cake decorations – jellies, sprinkles and such like. These gingerbread biscuits were made using the Tyrannosaurus rex biscuit cutter, a handy, robust cookie cutter in the shape of this famous dinosaur. Everything Dinosaur is a UK-based supplier of dinosaur and prehistoric animal themed models, toys and merchandise, check-out our website: Everything Dinosaur.